Reasoning section is one of the easiest scoring part in the recently over IBPS CLERK Prelims Exam 2017 and also the RBI Assistant Preliminary Examination 2017. So this could be a major breakthrough for your scores in the exams, so concentrating more on this topic will lead you to score more in this particular sectiion where the time needed is very less when compared to the other sections. We are providing daily questions based on various topics in the reasoning section and you can practice the same to score more in the forthcoming exams. Q.1) A is mother of B, who is sister of C. D is father of C. A is sister of M. D has only one son. 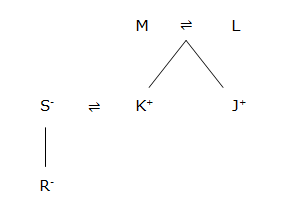 How is C related to M? Q.2) M is married to L, who has only two sons K and J. R is the only daughter of S who is married to K. How is R related to M? 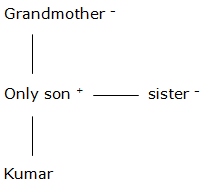 Q.3) N’s father is brother of J’s mother, who is married to L. How is L related to N? Q.4) Pointing to a photograph, Kumar said “She is the sister of my Paternal grandmother’s only son”, how is the girl in the photograph related to kumar? Q.5) A%B means A is father of B, A&B means A is mother of B, A*B means A is daughter of B. In this expression ‘P%Q&R*T’ how is P related to T? Q.6) A is mother of C, who is daughter of B. D is father of R and married to C. How is C related to R? W, E, R, T, Y, U, M and P are there in the family. There are three married couples in the family. W is married to E, who has only two daughters U and P. T is father of M, who is brother of Y. P and R are married couples and has no children. Q.7) If W is mother in law of T, then how E is related to Y? 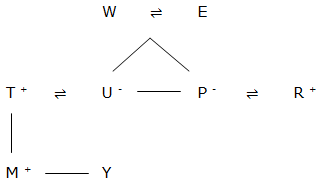 Q.8) How is T related to R? Q.9) If Y is granddaughter of W, then how is Y related to P? Q.10) If M is married to H, then how is Y related to H?